The last few mornings have had a distinctly autumnal nip in the air - although technically it's still summer, and we're still getting some gorgeously hot sunny days, it's as though the weather knows that actually, it's got to start thinking about a change, and so it's delivering cooler, mistier mornings as a compromise. 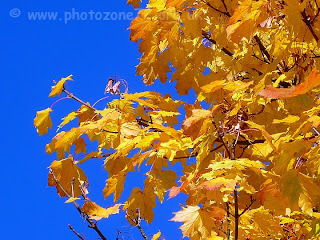 I love Autumn - such a fabulously colourful time of year, and yet often with enough warmth in the days that we just want to be out enjoying everything. For us it tends to be a busy time too with lots of fun planned coming up. Indoors, this is the time of year when I want to start thinking about making sure that the storecupboard is piled high ready for winter. By storecupboard I actually mean that and the freezers - although right now the chances of getting much more into either freezer is looking pretty slim! We're still well served for meat with plenty of our whole Lamb purchased earlier in the year left. We have nearly a whole drawer full of Hebridean produce left too - from the wonderful Hebridean Smokehouse salmon pate to Stornoway Black Pudding. It's fantastic to have a little taste of the western Isles on our plates in the middle of winter when our annual trip back seems like an eternity away! other than those though, it feels rather like the freezers are currently filled with a wide range of odds and ends - all tasty enough in their own right but nothing that's really singing out to me to make a meal from. 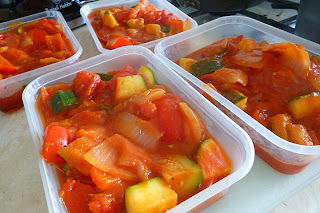 More focus needed here I think, and a return to "proper" meal planning too - done several weeks ahead this really works well for me, however first I need to audit the freezers I think! Another concern of a lot of folk going into the winter is the cost of power - our electricity Direct debit has just been increased from £47 to £58 per month. I've let them run with it this time as I know we will be lower on credit running into the colder weather than I'd like - Normally our heating (night storage heaters) goes on at the very end of November and goes off at the very latest at the end of March - last winter though it was switched on from October through to MAY! We've fought back, with our usage from May through to current being lower than in previous years, but not by anywhere near enough to make up the huge difference in cost, so we, like many others, are praying that the weather won't be cold for such a prolonged period this winter! I'll re-visit the Direct Debit in March and see how it's looking then - we'll have been with Scottish power for more than a full year then too so they will have a better idea of how sparing we actually are with power! Meanwhile our Gas DD is still sitting down at a silly £1.01 - with us only using it for cooking, the standard DD of £5 a month means we amass credit so every now and again they drop the sum we collect down to that (which is the physical minimum their system can deal with, apparently!) while we catch up. I think British Gas were hoping that when we took the electricity contract over to Scottish power we'd leave altogether as apparently it costs them more to administer our account than we pay in charges! Even those tiny costs we work to keep as low as we can by batch cooking, and making sure that the gas rings are turned low enough so the flames only reach the base - not the sides - of the pans. Steamers are a great way to keep cooking costs down too - the multi-tier stacking ones often allow the cooking of potatoes in the bottom of a pan and several lots of veggies above. 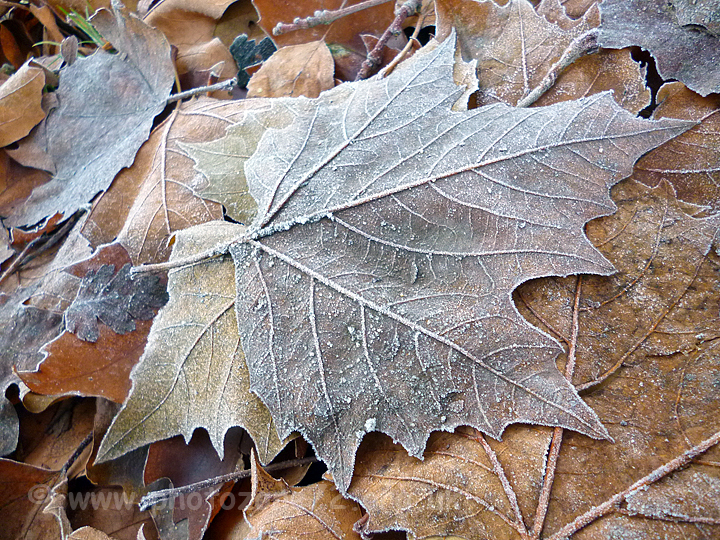 From a cooking perspective, the colder weather is just great for frugal food! Stews, soups, hotpots and casseroles are all great chilly weather food, and can be batch cooked and frozen for home made "ready meals" for busier times. Beans and lentils make great fillers for these sorts of meals, too - and beans & chickpeas can be soaked and cooked in large batches, then bagged up and frozen - if slow cooking a casserole simply empty a bag into your slow-cooker straight from frozen - they'll thaw in the cooking process and save you the hassle of defrosting them! 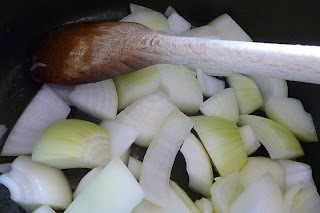 Another great stew tip is to throw a handful of oatmeal or porridge oats into the pot at the start - it both thickens and adds a delicious creaminess to the gravy! Pies and crumbles are also a high spot of winter meals for me - and all the better if they can be made with foraged produce like apples, plums and blackberries! We've got a list of where all sorts of things can be foraged locally, my Mum-in-Law particularly likes the Walnut tree that my parents tracked down, as when I go down to Devon to see her in September I'll be armed with a nice bag of walnuts! We might even try pickling some ourselves this year - I'm not keen on them as dried nuts, but I do love a pickled walnut! 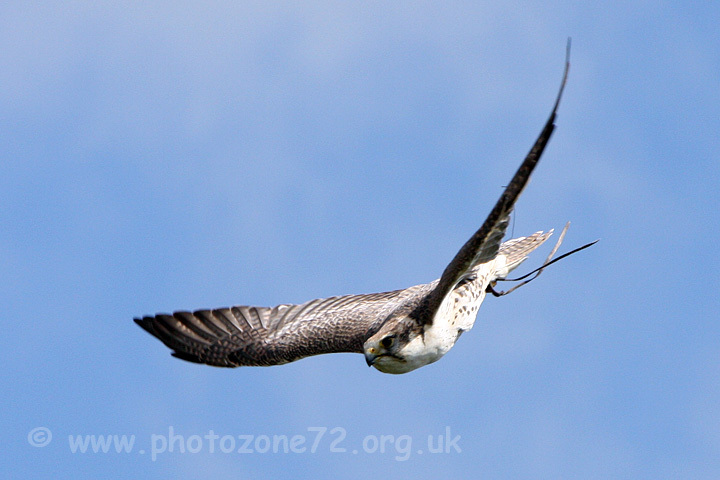 And the weekend just FLEW by...! Bank holiday weekends eh - don't you just love them?! 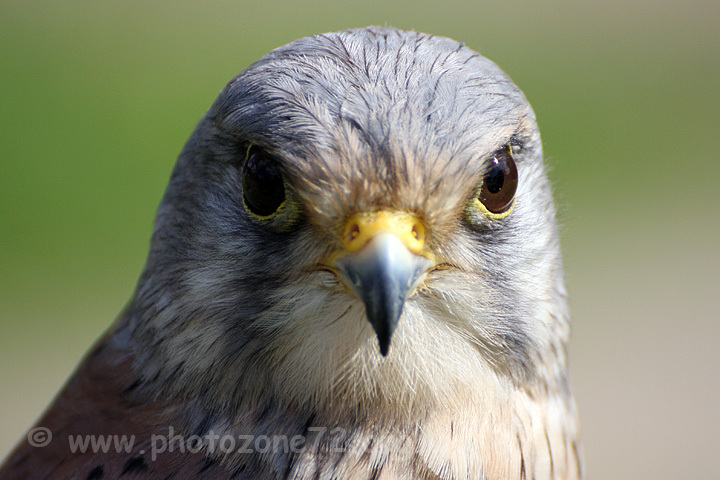 (And before you say "well actually I'm in Scotland and we didn't GET the Bank Holiday you've just had - Wheesht! You had one at the beginning of August without us and did you hear us moaning about it? No you didn't....much!) Anyhow, we DID get the bank holiday, and proceeded to make the most excellent use we could of it. 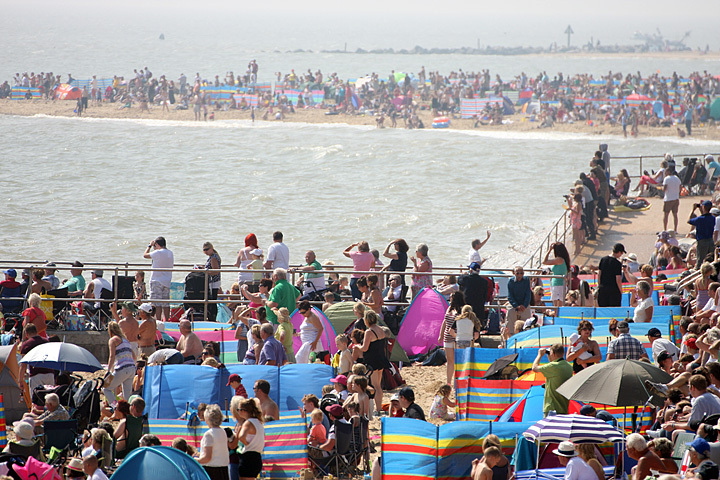 First came Friday - my "usual" day off, yes, I know, lucky me - and I headed off to Clacton-on-Sea on the Essex Coast to enjoy the lovely sunshine and take in their free Seafront Airshow. First job on arriving as ever was to ensure I donated so that the show will continue being free in years to come - the purchase of a programme and a donation into the bucket dealt with that. 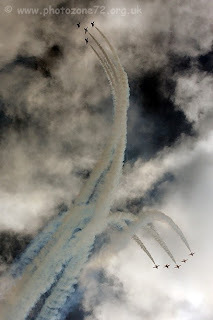 I have to confess that the main reason for wanting to go along to this one was as a chance to see the Red Arrows for the first time this season ahead of their upcoming shows at Dunsfold (more on that later) and Dartmouth, next weekend. 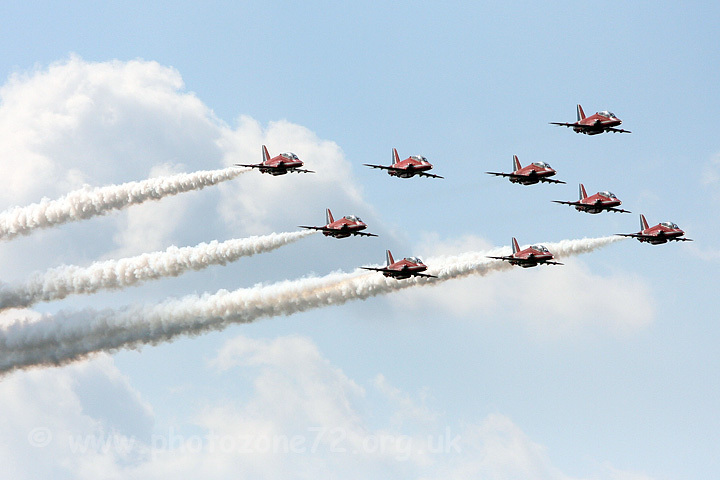 The Dartmouth show in particular is one I love photographing - not least for it's unique viewpoint (up a hill, on a level with the display) and so to have the chance to get some practise in beforehand, and try out ideas I've had for shots that might work, is useful. 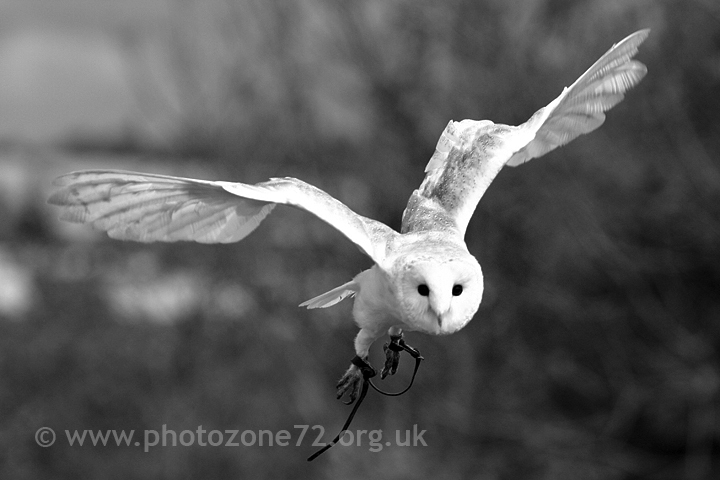 This time I also wanted to take the chance to try out our new Tamron 70-300 lens and see how well that worked for this sort of photography. All in all I was quite pleased with the results, and also impressed with the lens - nicely sharp, and quick to lock on with the focus. Downsides are that the colour rendition doesn't seem to be *quite* as good as the Canon one I usually use (notably when dealing with RED - which I think Alanis Morissette would have called "ironic") and also that when it does lose focus it does take an appreciable time to grab it back again - resulting in some missed shots. In fairness to it, it's NOT a pro quality lens, nor does it have a Pro quality pricetag - for it's sub-£300 cost it's still absolutely astonishing and I'm looking forward to giving it plenty of outings during the rugby season. All in all it dealt exceptionally well with a tough subject on a somewhat hazy day. So, onwards with the weekend - Saturday was basically a "catching up on stuff" day - shopping, home-stuff, MrEH's rugby training and odds and ends like that. 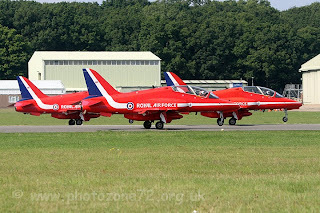 With that all out of the way thoughts turned to Sunday and our first ever trip to a "proper" airshow at Wings & Wheels in Dunsfold, Surrey. The first day of the show had seen a mass of displays having to be cancelled due to the appalling weather - so we were extremely glad to have selected Sunday for our visit - and what a good decision that proved to be! Everything scheduled flew, some things several times. The Red Arrows not only did a brilliant display but also flew out at the end of the day to return to their home base at RAF Scampton. The Vulcan was awesomely, ear-splittingly LOUD and oh-so-impressive. 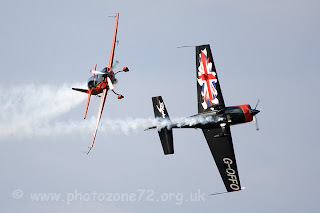 The Blades were their usual brilliant selves - we first saw these guys fly what I believe was their debut public performance at Southend Airshow in 2006 - and their show simply never gets old. 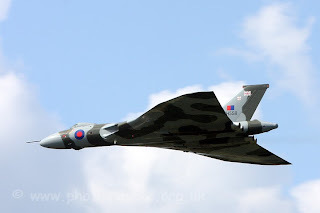 We were hugely impressed with the show put on at Dunsfold - there was constantly something going on - from flying displays to motoring demonstrations, parades of vintage & modern vehicles from Supercars to a souped-up Morris Minor! The ticket price wasn't cheap - with the booking fee we each paid a little over £20 for our day out, but the entertainment provided was second to none and we wouldn't hesitate to return. 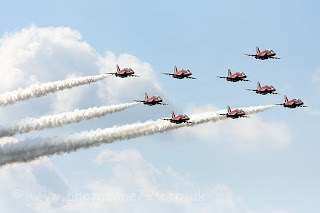 the viewing from along the runway edge was fantastic - although would have been better had those who'd grabbed the "front row" stayed sitting rather than standing up during each display meaning that those behind had their view interrupted. it was always possible to dodge about to get a great view of what was happening though, and as most stuff happens up in the sky in any event it didn't cause too many problems. If you live in the East Anglia area and have never visited I really can't recommend the Foundation highly enough - even had we paid cash for our admission it still would only have cost us £5.50 each to get in, and as we arrived at 11.30am and didn't leave until nearly 5pm I think you can say we got our moneys worth from the day! The staff really know their stuff and make the flying displays informative as well as entertaining - we've now visited many many times and will definitely be returning again - after some years of going there it's lovely to see some of the birds who were just starting their training when we first went now taking major parts in the displays! As you know we spent last week at the Great British Beer festival. 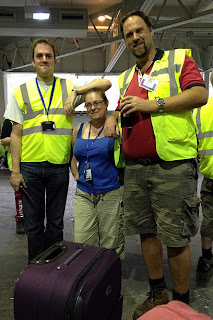 We were working there as volunteers, and had accommodation with a friend who was also volunteering (Had we not had that option, our accommodation would have been provided by the festival free of charge), our meals were subsidised, and the beer at the staff bar was free. Aside the nights out with our bar team at the start of the week before the festival was open to the public, we had, to all intents and purposes, a very cheap holiday indeed! Yes the work was hard, but when you're working with good pals, with none of the hassles and politics that can intrude on everyday life, and doing something so completely different to what you do normally, it can still feel like a holiday! There are lots of ways of having fun without needing to break the bank. As you probably remember we're great advocates of having fun while still working towards the financial goal of getting that pesky mortgage gone! You can do all the scrimping and saving in the world, but the one thing you SHOULDN'T scrimp on are life experiences - don't be putting all those places you want to go and things you want to do off into the future, we none of us know what life has in store for us! 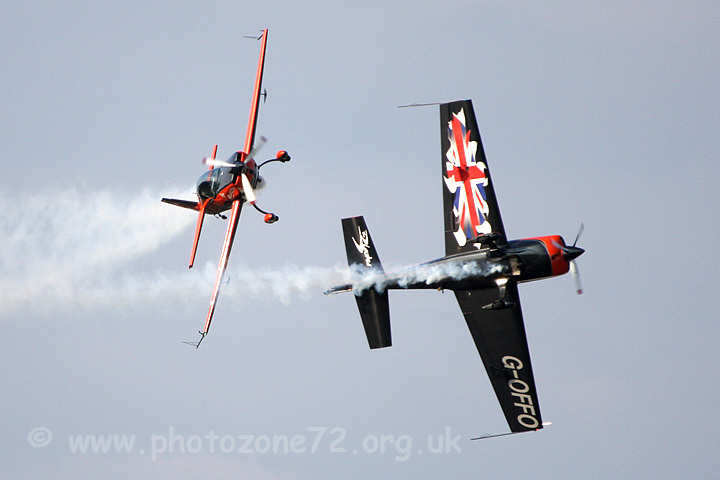 Seafront Airshows - all yours for a few £'s in a bucket! Volunteering is a great way of getting to "do stuff" and can be done in all sorts of ways - we've previously worked with the local conservation volunteers learning about coppicing and hedge-laying among other things. A friend went to Glastonbury Festival a few years ago for absolutely nothing by volunteering to work with one of the charities that was represented there. 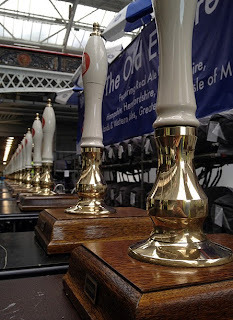 That beer festival is open to all CAMRA members to volunteer at, and even things like Airshows and similar use volunteers to sell programmes etc - more often than not they ask for just a handful of hours work on any day that you're there, and after that your time is your own. Another good way of saving money on days out is using vouchers - T*sco Clubcard Rewards (now known as "Clubcard Boost") maximise the value of your ClubCard vouchers by giving back anything up to 4 x face value for a whole range of days out, experiences and even rail and ferry travel. We've visited Wildlife parks, Steam Railways, the Imperial War Museum and even the Good Food Show for a fraction of the normal price using these. Drive down the cost still further by taking a packed lunch and your own soft drinks for a picnic, or at the very least grab sandwiches from a supermarket on the way - not as cheap (or as tasty) as making your own from scratch, but sometimes more convenient, and still almost certainly cheaper than you will pay once inside your chosen attraction. If you travel long distances by train regularly a small flask will come into its own very quickly - piping hot tea or coffee made as YOU like it, and no nasty paper cups! At around £1.70 a cup for a drink at the station, the flask will pay for itself in next to no time! Of course, saving money is all well and good, but a day out for free is even better - and where better to look than the area around you? Whether it's a trip to the park with the kids for a play on the swings, or a nice long walk with a picnic at the half-way point, there are plenty of options out there. 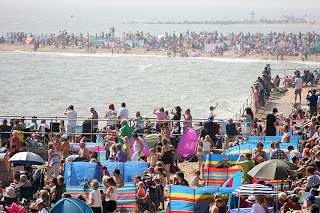 Various parts of the country have free festivals going on, then there are town shows and seafront airshows....do remember though that these can't be considered completely free as they DO cost the organisers fortunes to set up - so do drop a donation into a collection bucket when you see one - even if only £1 for each member of your party, it all helps to ensure that you'll be able to enjoy the same budget friendly day out next year! A GREAT British Beer festival! And great it definitely was this year - a fantastic nine days of meeting up with masses of the best friends imagineable. Looking after and serving up some fabulous beers, and plenty of drinking them too! 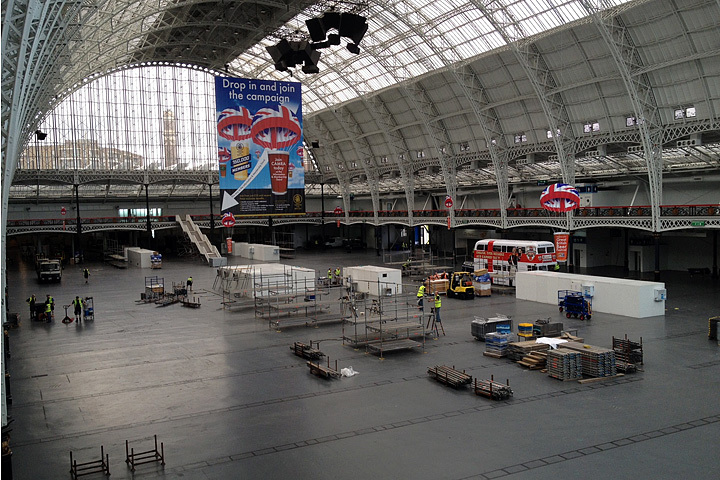 You can see our bar right at the back of the picture, to the left of the staircase. 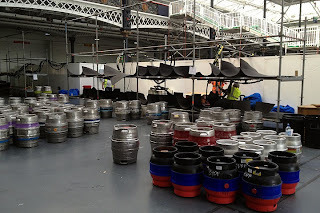 A quick wander downstairs, and shortly after I was joined by fellow Deputy Manager Brian, and we set to unpacking crates of equipment and setting up the all important cooling equipment which has to be fixed to the stillaging before we put the beer in place. Initially this just looks like a confusing muddle of plumbing, but once you've put it all together a few times it's surprisingly quick to install - in fact cable-tieing it all into position takes longer than putting it together! 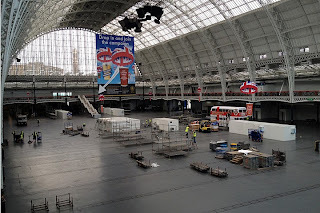 Once that was done and lunch consumed, we headed off to assist where it was needed elsewhere in the festival - which mostly involves a lot of walking from place to place pushing or pulling items of equipment - nobody goes to GBBF and comes back having put on weight I can tell you! ...and then the clips are added which show which beer is on sale from which pump. 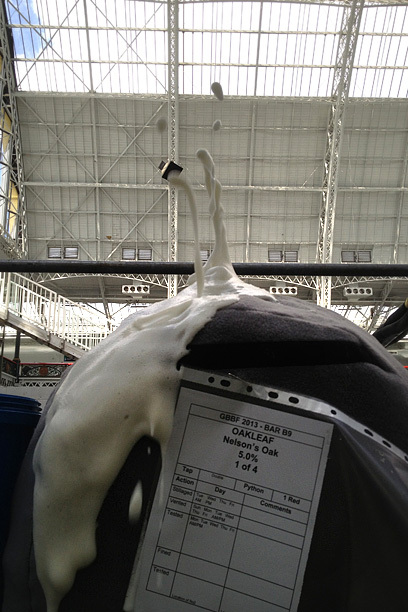 While that's going on, some of us are checking the beers to see whether they are ready for sale or not - some take longer than others, and once we know how the first cask of each is behaving we know whether we will need to work any differently with the subsequent ones. This year we opened on Tuesday with 25 of our 28 beers ready for sale if I remember rightly - a number we were quite pleased with. Also on Tuesday is the judging of the "Champion Beer Of Britain" competition and this year we were delighted to have the beer that was placed second overall on our bar - Steve & Catherine from Buntingford Brewery were absolutely delighted - if a little shellshocked! Photo courtesy of CKD - I think! ...so think on that the next time you want to suggest that chocolate or fruity beers are just for girls! ;-) On our bar we were fortunate to have Isle of Skye's lovely Hebridean Gold, and a glorious mild from our local Brewery Sawbridgeworth too. Beer festival folk are incredible - some of the warmest, most accepting, non-judgemental people I've come across. Through CAMRA I've met barristers, brewers, builders and bin-men, conservationists, civil servants, carpenters and computer programmers. Some of those are married to one another, and one is even married to me! Sure there are people you get on with better than others, but for the most part it's a very "live and let live" environment - we're all there for the same reason, after all! 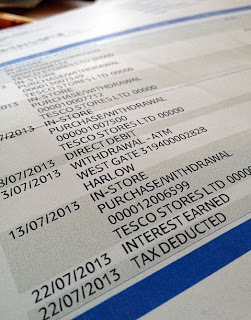 There's been a lot of chat online recently about FoodBanks. Sad as it seems, we're now in a situation where a lot of folk have to rely on these, and they provide a hugely valuable service. When we were struggling massively some years ago they didn't exist so far as I know, and had they I probably wouldn't have felt that we had the "right" to use one in any case - at the time the £10 a week we had to feed the two of us for a while never actually seemed that restrictive, but that was a good part because we had easy access to a superb market with fruit and veg stalls and an excellent butchers, and Indian supermarkets, plus we have the basic cooking skills to be able to make the best use of what our limited budget allowed. 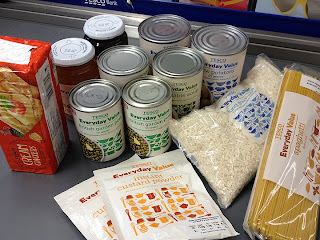 We settled for keeping it fairly simple in the end - some basic carbs - tinned potatoes, pasta & rice. Tinned vegetable soup. Cream crackers which will go with either the soup or the Jam & Marmalade we also bought. Tinned peas. Yes, I know what I said previously about tinned -v- frozen, and I stand by that, but frozen goods aren't a lot of good to Foodbanks, are they now! Finally we added a couple of sachets of instant custard mix - the sort which you make up with boiling water. The whole lot came to £2.96 - which was worryingly cheap - and looking over the bagful of goods the main word which sprang to mind was "bland". 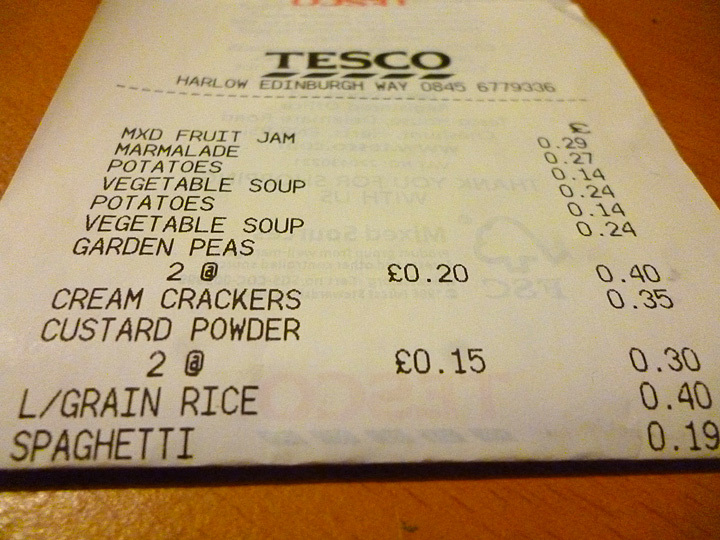 The rice & pasta were from the supermarket's budget range and I buy both of these myself - 40p a kilo for the rice, 19p for 500g of spaghetti. That takes the price for a single of portion of either to under 4p which is achievable on even the tightest budget and of course starchy carbs are filling - important when you have limited funds to feed a family. 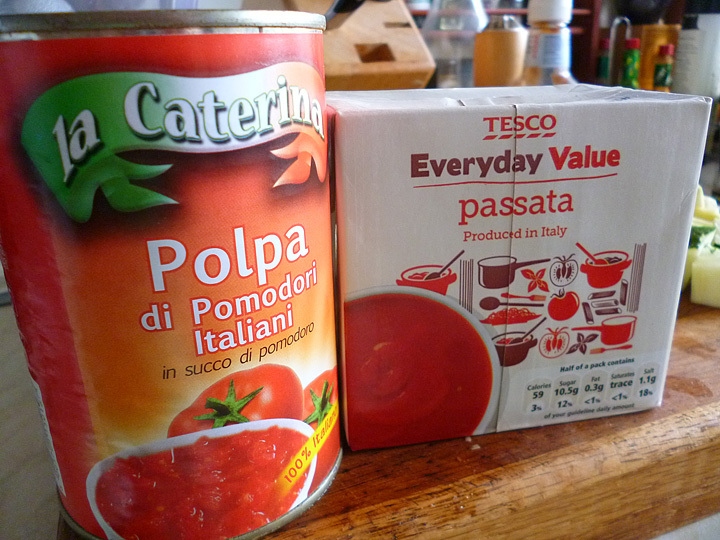 It struck me that a tin of peas and some cooked rice or broken-up spaghetti stirred into one of those cans of soup could make a filling meal for 2 people for 25p a head plus cooking costs. It wouldn't be terribly interesting, but when you're struggling to make ends meet to that extent, "interesting" is the least of your concerns. While as I said, the Foodbanks provide a valuable resource for those for whom the light at the end of the tunnel is nearly extinguished, as a long term solution is pretty hopeless. The only true way of solving the issue of people struggling to this extent is to start providing free-of-charge basic cooking skills courses, and over the longer term ensuring that these basic skills are taught to children in schools. The free courses could be offered hand-in-hand with boxes from the Foodbank - and also would fit well with some interaction between Foodbanks and service users - those with better cooking skills would find it helpful to get boxes containing more "ingredients" than convenience foods, for example. Teach people how to make things like Porridge, basic vegetable curry, bolognese or chilli, basic unleavened flatbreads. Soups of course are a great one - easy, cheap & filling. Teach about the advantages of buying in bulk when funds are available to do so. Teach about buying seasonally, about not assuming that farm shops are more expensive than your local branch of "that" supermarket. The phrase "Give a man a fish and you feed him for a day, Teach a man to fish and you feed him for a lifetime" certainly has some truth here. Sadly I couldn't find any evidence of any such free courses being available in my area, although I have seen online that others have mentioned that this resource is being offered by their local Foodbanks. Have you joined in with the current drive to increase donations to Foodbanks? If you haven't, and want to, then visit This Website to find your local one, and how to give. If you have, what did you settle on buying and what were your reasons for your choices? Do you know if there are free basic cookery skills offered by anyone in your local area? Living frugally can be about far more than just money. Being frugal with your belongings for example - treating them carefully, with respect, and doing repairs when needed to prolong their lives. Being frugal with your time too - making good use of it in order to 'get stuff done' without it eating into what for many people is increasingly hard-won leisure time. Last Saturday morning we had to have a windscreen repair done on MrEH's car. Frugal in itself as his insurance picks up the bill. Even more frugal for me as we negotiated a deal where I waited in for the windscreen man while MrEH went to rugby training - my payment for this selfless act :-) was that my Sunday morning swim was paid for. Bargain! Having got a few small tidying, washing up, dishwasher-emptying type jobs done, I turned my attention to the kitchen. My weekly pre-shopping fridge check yesterday had yielded some courgettes that needed using, as well as some spankingly fresh ones donated by a good friend with a productive allotment. There was also lots of red peppers sitting there - while I wanted some for salads in the week, I knew I wouldn't use them all. 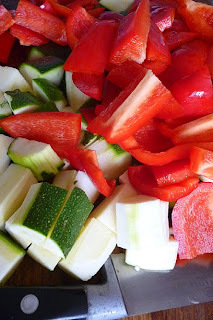 The obvious answer was ratatouille - so when I shopped I had bought an extra couple of onions with this in mind. Peel some onions, and cut into rough chunks. Pop into a large pan with a drizzle of oil and a pinch of decent salt, and cook until they have started to soften. 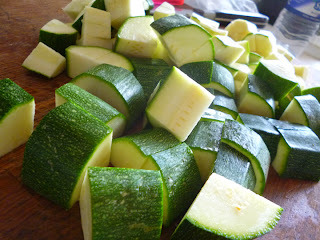 While that's going on, chop some peppers and some courgettes into rough chunks also. The amounts matter not a jot - although you may find it tastes more balanced with roughly double the quantity of each of the peppers and courgettes to onions. Once the onions are softening, throw in the other veg. Cook the lot, stirring often, until everything has started to soften and the onions have begun to turn translucent, then add one tin of chopped tomatoes and a carton of passata. (You're aiming for the liquid to just come to the top of the veg - it doesn't want to be drowning in it). The can of tomatoes help to add a little texture. Grind in plenty of black pepper, and add some fresh thyme, savoury or even parsley, and a pinch of sugar, and cook until it's all heated through. Ladle out into plastic tubs and freeze. Ta da! 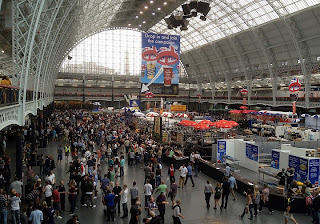 We'll be at the Great British Beer Festival next week, which means another week with no blog posts other than (probably) a Frugal Friday one on....ummm....Friday. In theory I can post blog posts from my iPhone, via the BlogPress App, but in practise I've found before with this is that the software which compresses the photos down to "blog size" is somewhat brutal, and can lead to the pictures ending up looking a bit grotty. Not really want I want. ...in BlogPress, and then go into the actual Blogger website to post it up. Does it do the same thing? **edit** It works! Certainly far better than letting BlogPress deal with it, so that might mean you stand a chance of getting a "mid Beer festival" update. Or not. 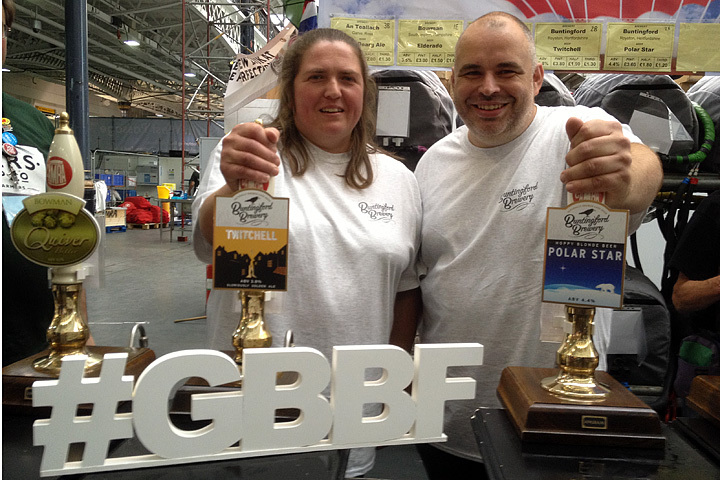 If you want to know what we're up to, then follow @BensBarGBBF on Twitter or look out for the #GGBF2013 hashtag being used. Speedway fans have received a timely reminder in the last 24 hours of the sheer danger of the sport we love. Of course we all know, deep down, that it's got it's dangers - 500cc bikes, with no brakes and only one gear, add into the mix riders sometimes taking one risk too many, and every now and again things can - and do - go wrong. It's inevitable. 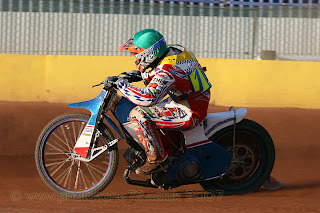 It doesn't stop us having a go at an underperforming rider - and nor should it, sometimes that "hard time" can be what's required to make a rider change his mindset and prove the doubters wrong. It should also be remembered that these guys are being paid to take these risks, and know what they are getting into. Sometimes that "having a go at" turns into something nastier though - I've heard a fan in the past stating that she wished a particular rider would "break his neck" on the basis that he'd had a hard - she perceived dirty - race with a favourite rider of hers. Sadly she almost got her wish - that rider she was essentially wishing dead was Lee Richardson - I blogged about him last year, shortly after he lost his life following a high-speed crash in Poland. Be careful what you wish for, as the saying goes. She will have that one on her conscience for the rest of her days, I'm guessing. I wonder if she now wishes that she had set aside her grudge as fast as the favourite rider who was on the receiving end of the hard tactics from Rico almost certainly did. 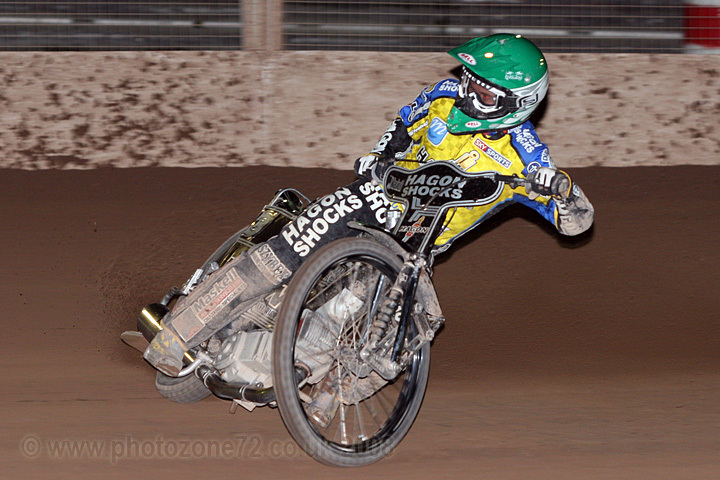 Last night, at Scunthorpe, Berwick rider Ricky Ashworth was involved in a crash, a serious one. It lead to the abandonment of the meeting as both sets of paramedics in attendance at the track felt that his condition was serious enough that they should accompany him to hospital. This really doesn't happen all that often, and as a long term fan of the sport you know when you hear that sort of thing how serious the situation is likely to be. Within minutes there were comments all over Twitter using the hashtag "#PrayForRicky" - and within an hour or so a degree of speculation was creeping in too. 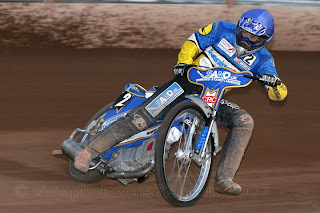 Riders were tweeting too - although their comments were mostly on the lines of "hearing Ricky Ashworth's had a bad one, wishing him well" - carefully worded - if they were in that position they know what sort of thing they'd rather their friends and family read, I guess. By approximately 2 hours after Ashworth's crash, the usual "I'm hearing rumours that..." Type stuff had surfaced. Now it should be noted that there was no official statement until this morning, and that so far as I have seen, nothing was said by the family until his sister tweeted from Ashworth's own Twitter account - also this morning. Initially it sounds as though his sister was struggling to get information herself - she clearly wasn't at the track and it seems to be a distinct possibility that they may have initially heard about the crash and the aftermath via social media rather than via the correct channels. We were victims of something similar ourselves a few years ago albeit in a far more minor level - a rider who we had known and been friendly with for several years had a serious crash abroad - the first we knew was when the news was "broken" on FaceBook - and what followed was a horrific few hours of trying to get information and find out just how bad it was. Just how unimaginably awful it must be if that person you're reading about is your son, brother, husband, can't even be comprehended. Please speedway fans - remember. When it comes to an injured rider - if what you're about to tweet, FB or write on a forum starts with "I've heard a rumour that..." Then you REALLY shouldn't be posting it. Put yourself into the families shoes, and post a supportive message instead. 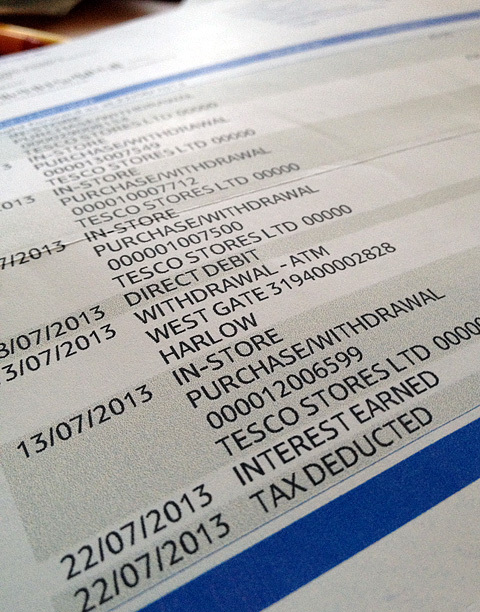 We're back to trying to keep our grocery spend down and rebuilding the credit in our Clubcard Plus account after our holiday. We're also trying to use up the accumulation of foodstuffs in our storecupboard, freezer and larder - which of course will help with the "keeping the spends down" thing too! Before I went shopping for this week I thought about what we had available already, and also what we wanted to eat this week. With the hot weather we've been having we tend to eat a fair amount of salad - MrEH is a proper bloke though and doesn't consider a salad to be a meal if it's just leaves and similar so I have to box clever and tart it up a bit - a warm salad with some form of cheese, some bacon and some boiled new potatoes is a particular favourite. Chorizo is great for this sort of salad - you only need the tiniest bit to add masses of flavour and croutons of stale bread fried off in the fat that comes out of the chorizo are a fabulous addition too. You often hear people complaining that it's too expensive to eat lots of fresh fruit and veg - that they "can't afford" to eat that sort of food. Really? 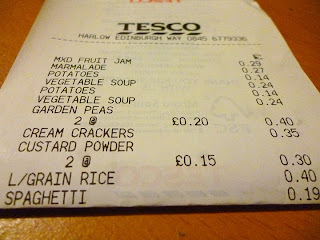 Our shopping last week - having checked on what we needed before I went, and made a list - cost £10.53. This included milk for both of us (MrEH will go through his 4pint container in the week, while mine will last at least a fortnight), a lump of "feta style" cheese which serves as the "main ingredient" in 2 evening meal salads for both of us, lots of salad leaves and lettuce, a huge bag of red & yellow peppers, spring onions, plus bananas, apples and nectarines for after our lunches. 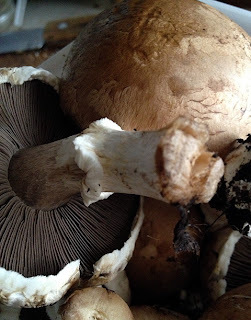 There was also a punnet of mushrooms (reduced to 59p) and some onions in there too. We already had potatoes in the larder - when we were in Norfolk a couple of weeks ago we bought a dozen eggs and 5kg of potatoes from the campsite we stay on, they farm free range hens, and are the only remaining grower of the Norfolk Pink Potato and we paid just over £5 for what we bought. The trick to eating fresh food economically is largely seasonality, and buying what is on offer also helps. We try so far as possible to buy British too - so sometimes pay a little more for things as a result, but that's our choice. Salads at the moment aren't including cucumber, as at this time of year it's perfectly possible to grow cucumbers in the UK, but our "regular" supermarket (yes, that one) are choosing to stock Dutch ones instead. You might remember that tomatoes are a bugbear of mine on this issue - we have an absolutely brilliant climate for them, and yet half the time all that's available in the supermarkets is those nasty little Dutch objects that looks like tomatoes but totally fail to either smell or more importantly taste like them. Search a bit though, and there are usually some British ones to be had. The same with Mushrooms - Sainsburys are excellent at sourcing UK grown for even their budget range, but only very recently have Tesco caught up with this. (Morrisons were ahead of this particular game years ago). The salad produce was mainly on "buy 2 for £1" deals, aples were bought loose rather than pre-packaged (nearly always cheaper), as were the bananas. Watch out for the bags of "Value" bananas - half the time you end up with more than you need, they're already very ripe, shortening their life, and the per kg price is often higher than loose ones too!